Oh I love this! 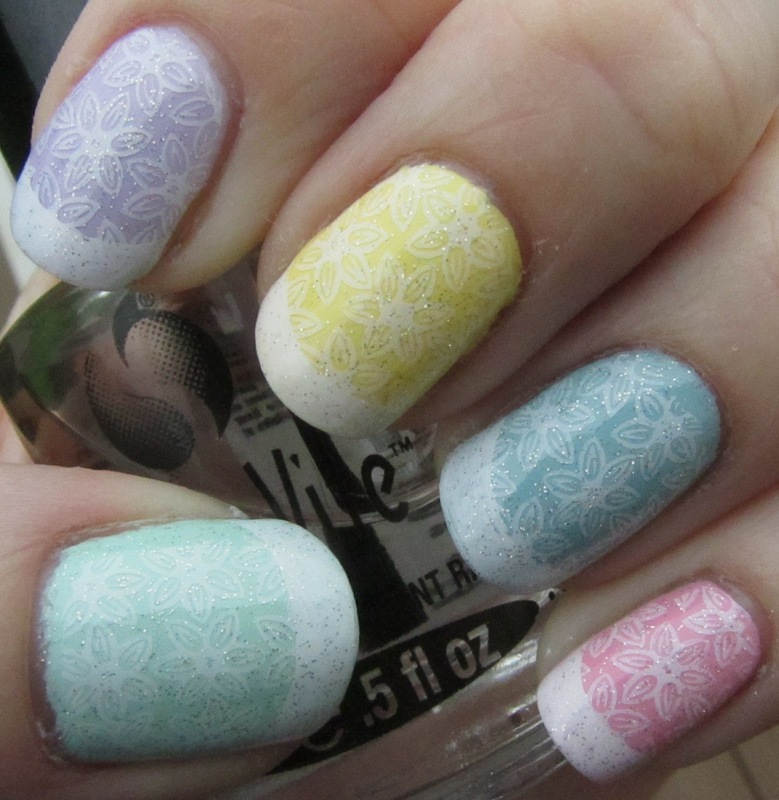 And yes, Easter is the perfect occasion to pull out those pastel colors again :) At least I will, too. So pretty! I'm also sporting an Easter skittle mani! wow! This mani looks gorgeous! Love it! nice idea :) love it! I ♥ this design, it's so cute! Love this! Going to have to bust out the stamping plates! ;-) Thanks for the inspiration!